The 10,000-square-foot manor, once used as a Civil War government statehouse, has six guest rooms, plus a cottage, including two junior suites and one presidential suite. The $4 million property-wide renovation, included a complete makeover of guest rooms and public spaces. 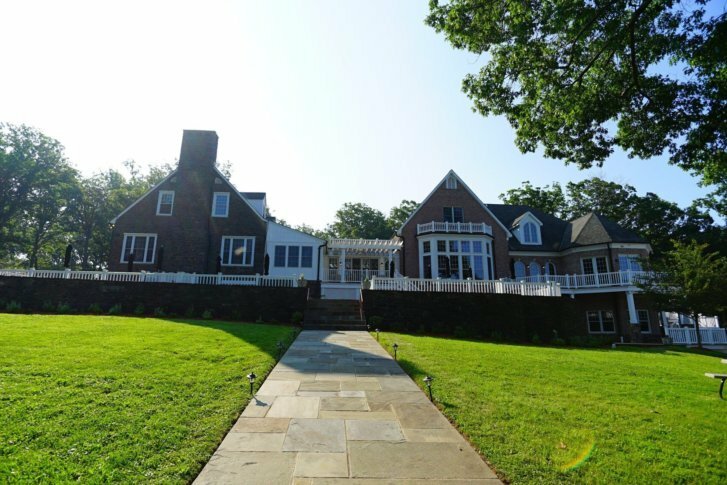 The Manor at Courtland Farm in Aldie has completed a $4 million investment to upgrade the 100-acre estate in Northern Virginia’s wine country. The property was sold to private investors in December 2015 for $1.92 million, according to listing service Bright MLS. It is marketing itself for corporate retreats, a wedding venue and a home base for wine tourists. Its location is within minutes of more than two dozen wineries. The property also hosts monthly wine tastings. The next scheduled Taste of Courtland wine tasting is April 20. “From wine enthusiasts seeking lodging in the heart of all that D.C. Wine Country has to offer, to executive teams seeking a corporate retreat destination for strategic planning, to wedding planners in search of the perfect black canvas on which to paint their vision, the Manor’s secluded but convenient location offers something very special,” said Gary Murray at Blue Bell, Pennsylvania-based Hurray Brands, which represents the property. Room rates range from $199 a night to $495 a night for the President’s Room, which includes a sitting room with a baby grand piano. The property has Blue Ridge Mountain views, and includes a pool and pool house, fenced pastures, a theater, a game room with billiards and air hockey tables, a wine cellar, meeting room and 24-hour fitness center. Amenities include a personal chef on request.